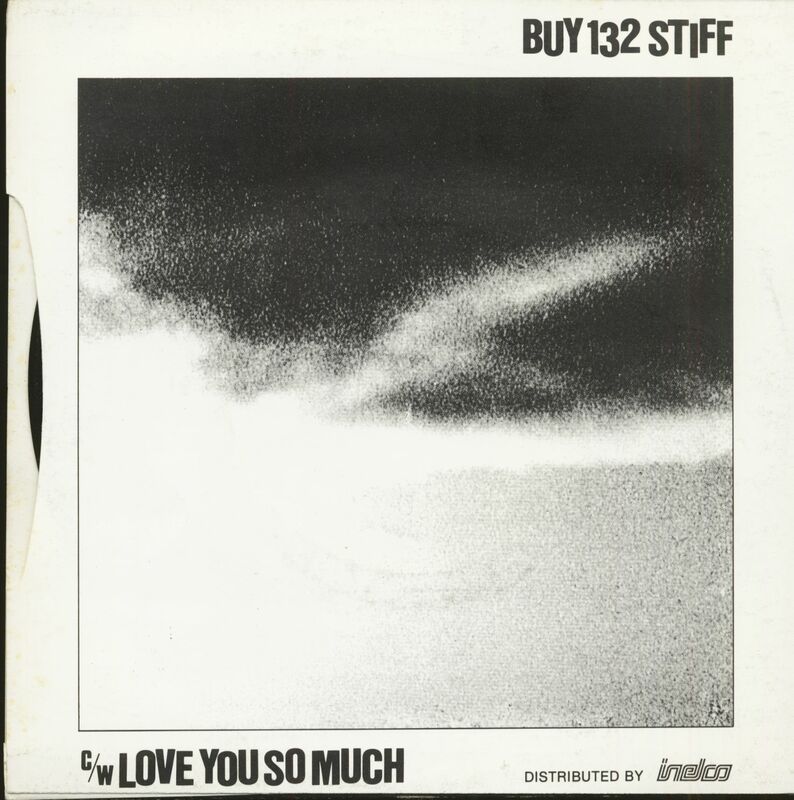 (Stiff Records) 2-Track Single - Original 45 from 1981. Large inner hole at 45 rpm with picture sleeve! 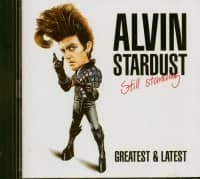 Alvin Stardust's extraordinary success story gave heart to every ageing rocker dreaming of a comeback. Born Bernard Jewry in London in 1942, his first break was passing an au-dition for BBC radio's Saturday Club. He and his group (which included Bobby Elliott — later of the Hollies — on drums) became Shane Fenton and the Fentones, an ener-getic quintet in silver lame, who had a hit with 'I'm A Moody Guy' on HMV (1962) and made a reasonable living until they were beaten back by the Beatles. 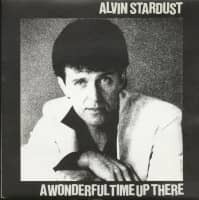 He returned with the rise of rock'n'roll nostalgia and was working the Northern club circuit (still as Shane Fenton) when Peter Shelley of Magnet Records persuaded him to release 'My Coo-ca-choo' under the name Alvin Stardust. It rocketed to the top of the charts in 1973 and so did five follow-ups, all Shelley compositions featuring more tape echo on the voice than had been heard since Gene Vincent. His image alternates between being a moody guy in black leather and a big brother to his youthful audience. When in-terviewed about his good fortune, he always seems bemused by it. In 1976, Roger Greenaway replaced Shelley as his writer/producer. Customer evaluation for "A Wonderful Time Up There (7inch, 45rpm, PS)"